Did you know that 21% of DIY respondents polled (from 2017 research commissioned by Lonza) said they plan to or have built a raised garden bed? This project follows in popularity “remodeling a deck” (31%) and “building a deck” (25%). In Canada, building a garden bed is the 4th most popular project of do-it-yourselfers. We’ve got the tools below to help you promote preserved wood for this application. Whether in the US or Canada DIYers should be building Raised Bed Gardens with Wolmanized® Outdoor® Wood. 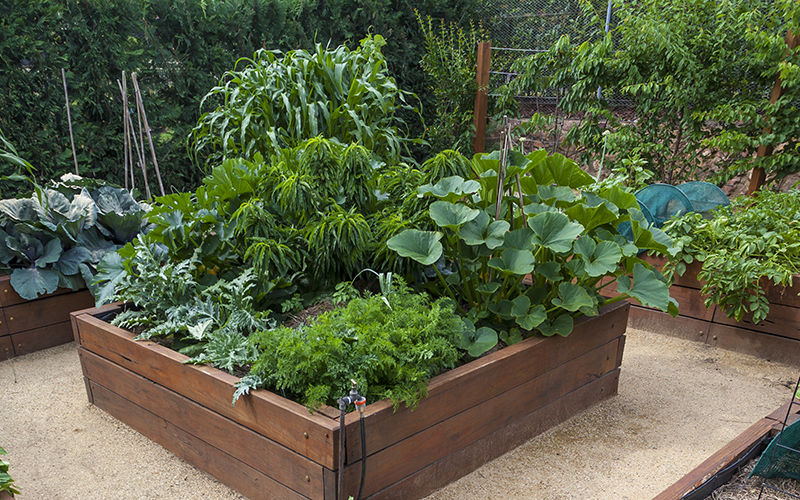 These sheets offer building and maintenance tips to help consumers get the most out of their raised bed gardens. Be sure to download or request copies to share with your customers. In this month’s issue of Extreme How-To, our own Belinda Remley walks through the benefits of building raised bed gardens with Wolmanized®Outdoor® Wood. We just created this brand new product video touting the benefits of Wolmanized®Wood. Be sure to check it out, link to it on your website and share on your social media channels. DIYers are taking on many more projects at home. With that in mind we’ve developed DIY plans. These plans include material lists, cut lists and detailed drawings to make it easy for anyone to build their projects. Have you seen Seeds to Sawdust yet? It walks through the treatment process from managed forest lands to preserved wood. Check it out and share! Remodeling Magazine has released its 2018 Cost vs. Value data for home improvements. This year wood decks are expected to recoup about 82.8% – an improvement from 2017 (71.5% resale value). The value of composites has decreased and are only expected to recoup 63.6%.